Everything Log Homes accepts advertising and other forms of compensation but we do not receive, nor do we accept, free products from manufacturers or affiliate stores for our review. Such compensation does not influence the information on this site, but thanks to our advertisers and sponsors we are able to continue to offer quality research and findings regarding log homes. We always give our honest opinions, findings, beliefs, or experiences. Rest assured that the actual content on sponsored pages is independent of any sponsorship or affiliate relationship. To avoid the appearance of any conflict of interest and in the spirit of full disclosure, we identify all sponsored content to you. We will only recommend a product or company that we feel is a valuable resource for our readers, but this is based our own personal opinion. Any questions, claims or descriptions of a product or service should be independently verified with that company. “Ads by Google” are not selected by us, so if you see a Google ad and a Web page about the same product or service, it is a coincidence. Ads by Google may appear on various pages of the site and are clearly identified as such. We do not provide them with any personally identifiable information for cookie or web beacon use, so they cannot personally identify you with that information from this website. Google uses the “DoubleClick” cookie to serve ads. This cookie enables Google to serve ads based on your visits to other sites on the Web. We only accept non-Google sponsorships from providers of high-quality goods or services. We especially appreciate their recognition and support of this site. These sponsorships include various affiliate stores in order to offer you products and services related to this site’s content. 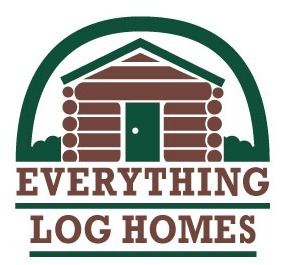 Everything Log Homes is a participant in the Amazon Services LLC Associates Program, an affiliate advertising program designed to provide a means for sites to earn advertising fees by advertising and linking to Amazon.com. Some sponsors pay a monthly fee for their advertising. For others, if you click on their ad or text link and buy something, we get a small commission. Please understand that the price you pay is the same whether you buy from them through a link on this site or buy directly from their affiliate store. These commissions are what help keep this site going and help keep the information on this site free for your enjoyment. If the information on Everything Log Homes is useful to you and you would like to show your appreciation and support for this site, then each time you decide to purchase your items from one of our affiliate companies, simply go through the links on our website to get to that company for your purchase. Each time you do this, we will receive a small portion of that sale. Please do support our sponsors and recommendations. This site takes time and effort to deliver original content, free, to you. Supporting our sponsors is a WIN-WIN-WIN for you, us, and them. Thank you very much!